"Students and food science professionals looking to learn more about tortillas and their production and distribution will find the technical discussions perfect for an in-depth understanding of everything involved in tortilla making and use." 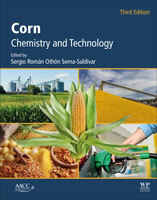 Corn and wheat are among the most important cereals worldwide, representing many of the calories and proteins consumed. Tortillas and tortilla-related products are one of the fastest-growing segments of the food industry and represent a sizeable portion of those calories. 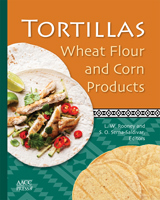 Tortillas: Wheat Flour and Corn Products answers the food industry’s need to meet the growing demand for high-quality tortillas and tortilla-based foods.This book will guide food scientists, product developers, and nutritionists through the fascinating science and technology behind the production of corn and wheat flour tortillas. 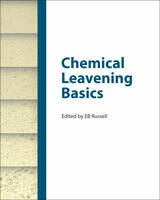 This title is the most comprehensive English-language book of its kind. 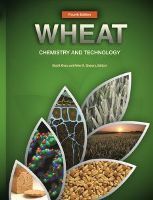 It fully describes the technology, nutritional value, and quality control measures of corn and wheat flour tortillas, tortilla chips, and related products. It accomplishes this through 300 pages of quality text complemented by easy-to-understand facts, figures, tables, and summaries that seamlessly guide users to an understanding of the fundamental underlying principles that optimize tortilla production and guide product development. Tortillas: Wheat Flour and Corn Products is ideal for academics and industry professionals, including food science and nutrition students; people working in the tortilla and snack food industries; industry staff interested in the quality control/assurance aspects of tortillas; and professionals interested in cereal processing and product development. Edited by the renowned food science educators in tortilla production, this book provides high quality training at both the academic and corporate levels.